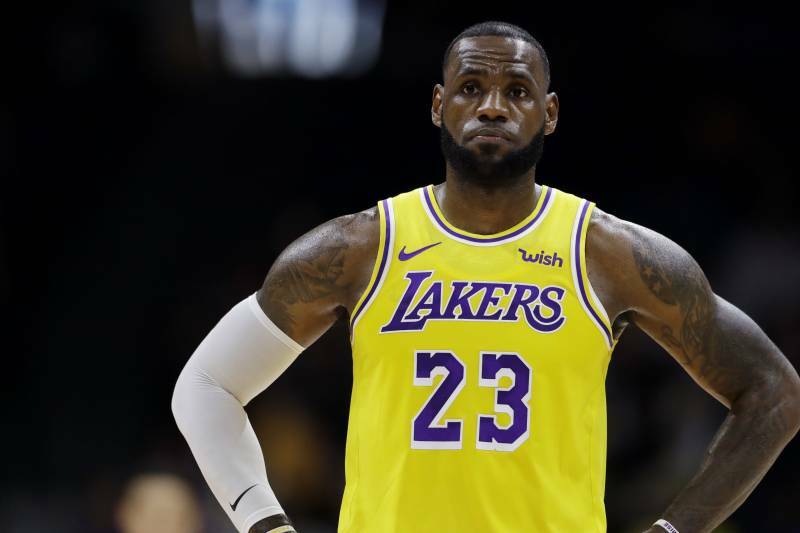 After a rash of burglaries targeting the homes of celebrated athletes and entertainers in Los Angeles, public figures like LeBron James are using the media to project themselves as a Hard Target. How celebrated public figures live, what they do, where they go, and how they approach fame, is explored, consumed, and speculated upon by journalists, fans, and those inappropriately pursuing these well‐known figures – including potential assassins and burglars. Consequently, many public figures use Social Media and Journalistic Media to project themselves as a Hard Target and deter pursuers from violating their security and privacy. The report also states that the burglars’ selection of which homes to rob was due to the owner’s social media profile. In short, when celebrated public figures’ post photos of themselves on vacation, donning expensive jewelry, or complimenting themselves for refusing residential security, they are sending this message to burglars combing the internet: I am a potential Soft Target. Not all media reporting on the lives of public figures exposes vulnerability, however. As the above quotes regarding specific public figures shows, many well‐known entertainers use media to project deterrence. LAPD, according to TMZ, has arrested four people for allegedly robbing dozens of LA area homes. Additionally, they report that LeBron James and other public figures were among a list of famous individuals targeted for home burglary. James responded by using the media to illuminate himself as a Hard Target. In the same article, TMZ reported that James hired 10 armed security personnel to protect his home. Furthermore, that NBA Security is also involved in safeguarding the famous athlete’s home. So there it is. In one brief report, would‐be burglars know that even when James is playing basketball in Miami or New York, armed professionals are guarding his home. He is officially a Hard Target. As a result, burglars looking for low‐risk / high‐yield properties to rob will naturally bypass the James’ residence and move onto much softer targets. Unfortunately, not all public figures are as proactive as LeBron James about their safety and security. 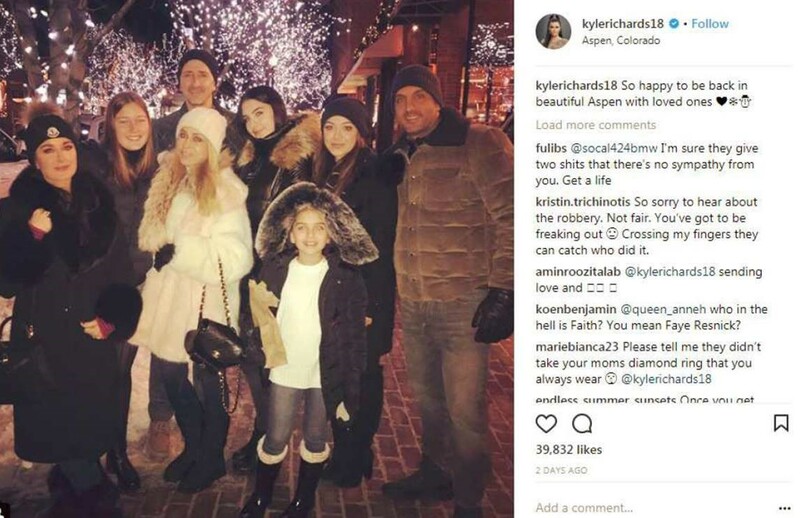 Last winter, Reality TV personality, Kyle Richards, posted a photograph with her family in Aspen, Colorado – essentially notifying the world that she was not home. The next day, burglars broke into her Los Angeles area home and stole over a million dollars in jewelry and handbags. 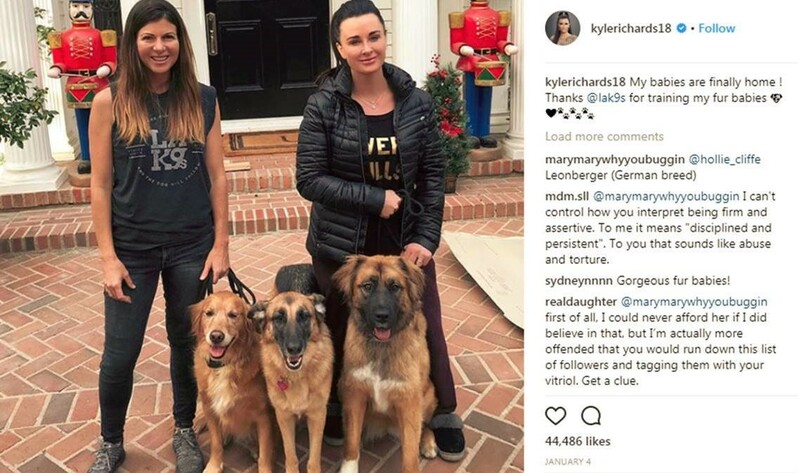 Had Richards (or the Media), before the above post, published photos of her with residential security in the background, or a photo with German Shepherds roaming her yard, we speculate that the burglars tracking her online would have bypassed her house for a Softer Target. Perceived accessibility plays a profound role in target selection (more than anger, hate, or love). Consequently, it’s important for public figures to communicate (thorough social medial and journalistic reports) that they take their security very seriously. All while avoiding ostentatious displays of wealth on social media. Those image conscious public figures who reportedly “shun security precautions; resist security advice; drive themselves to and from work; enjoy morning walks alone; don’t need a security detail…” and generally celebrate themselves publicly as approachable, are communicating a dangerous message – that they are, indeed, Soft Targets. And doing so will encourage inappropriate pursuers to violate the approachable public figure’s privacy, safety, and property. Why? Because the pursuer now believes, he can. Brian Creter is the Vice President of Investigations at GDBA, where he manages our firm’s most sensitive and complex investigations, including confidential investigations related to public figure pursuit, extortion, and theft. For over a decade, Brian has advised at‐risk public figures on their online activity, and taught open source intelligence techniques to key influencers within numerous government agencies and Fortune 500 corporations. Gary Howlin is the Senior Vice President of our Protective Security Division. Throughout his tenure with GDBA, Gary has supervised protection operations for hundreds of public figures throughout the world. Additionally, he has spearheaded the protection of clients at several large‐scale political events, where he served as GDBA liaison to the U.S. Secret Service and British Special Branch. His proficiency also extends to estate security operations, where he protected one of the most media‐pursued families in the world.